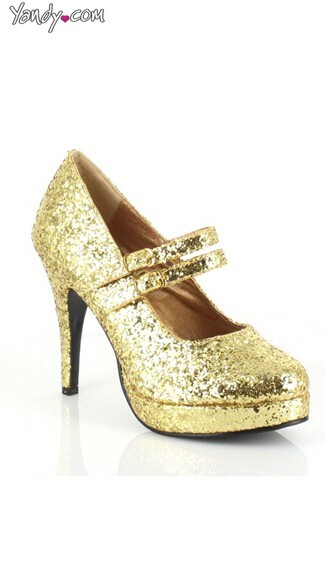 The classic Mary Jane with a sparkling twist! This retro pump adds shine to your step, featuring a 4 inch heel with a mini supporting platform at the toe, double strap buckles across the foot, and is designed in a reflective gold glitter color. Perfect to pair with various costumes and for an evening out!